SNL, we love it when you roughhouse. The long-running, late-night sketch comedy show weighed in on the ongoing quagmire over finding an Oscar host this year by enlisting host Matt Damon (himself an Oscar winner) for some hysterical imitations of popular celebrities and stand-up comics. Damon did some hilarious (and dead on) impressions of Chris Hemsworth and his friend Matthew McConaughey making their own cases for hosting duties. 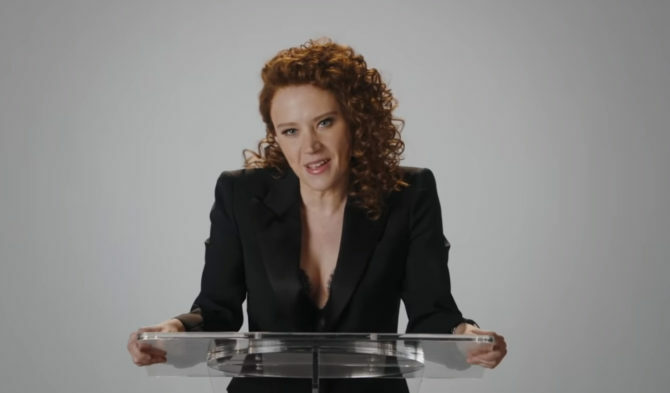 The real fun though came from the SNL cast impersonating celebrities like Michelle Wolf, Sarah Silverman, Kanye West and Rami Malek as they tried to sample their own comedy for an Oscar telecast. The Academy had initially announced comic Kevin Hart to host the February Oscars telecast, though the declaration met with immediate controversy. Hart has a long history of making homophobic remarks and slurs, even threatening violence against his son should he ever come out. Hart initially refused to apologize for his words on Twitter and in his stand-up before he later relented…though not before the Academy fired him from the job. They have yet to announce a replacement. For the record, we’ve come up with our own suggestions for who should host the show…some of whom SNL managed to send-up in their sketch. Regardless, we stand by our own picks for Oscar host, even more so now that SNL has managed to have some fun with them. And yet they’ve managed to give Kevin Hart a total pass for his bigoted vile tweets along with his petulance on properly apologizing. For those who haven’t watched the skit yet, don’t bother. It’s not even funny nor does it use the opportunity for a “teachable lesson” to homophobes and their defenders. SNL’s cowardice gives the green light to black comedians who use the LGBT as punchlines. You are highly exemplary of the current movement and why the backlash is growing. Nothing is ever good enough. If it is not an extreme response supporting your position then there might as well not have been a response at all. SNL is not under obligation to please EVERYONE. A sentiment that everyone seems to have forgotten about everything. This zero tolerance crap is really annoying me. That is not in the spirit of the true movement. To expect overnight acceptance is not realistic. This situation is very different from the Tracy Morgan debacle. But even then, at the time, Tracy was given the room and opportunity to evolve.